The deputy leader of Harrow council has warned that there could be big trouble ahead if there is more heavy snow this week because salt supplies have still not been adequately replenished. The councillor said that efforts to replenish supplies were being doubled but the extra 2,000 tons of salt needed to prevent icy roads had still not arrived. However she said the council had done everything they should have done to prepare for the snowy weather last month, which was the worst in decades. 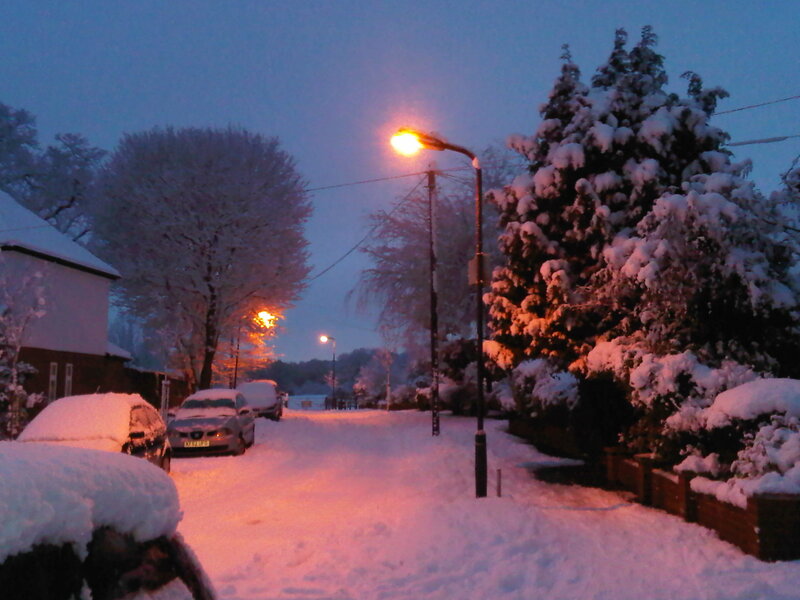 Harrow’s grit shortages became a national story as Britain was blanketed in snow and ice. One resident complained that on Harrow’s border with Barnet, along the A5, there had been a marked difference in how much grit was put down. “Harrow had absolutely nothing on it for quite a few days,” they said. Yet pointing out that many boroughs, like Haringey, had not kept their main roads clear, Councillor Hall said that it was not always possible to grit side roads. Councillor Hall also said that the legal department were looking into whether residents should clear pavements against the risk of accidents. He said severe weather had exacerbated the “pothole problem” in the area, after one resident reported counting a rise to 85 potholes at Pinner View. Councillor Hall said they were taking pains to repair roads, but acknowledged that she has been receiving up to 30 emails every day on the subject. Last month it was reported that potholes would cost the council an extra £1 million. Michael Burton, editor of the MJ, the management journal for local authority business, hosted the evening. He said the gritting problem was a national problem and blamed it on highway maintenance budgets being trimmed. Nearly two thirds of Harrow residents think the council did a good job keeping the roads clear during the recent snowfall. According to a poll on their website, 62.5 per cent of respondents were pleased with the council, despite worries about grit supplies in the borough running out. Main roads in Harrow, including the Uxbridge Road, were gritted. However many side streets in Stanmore are still icy and difficult to drive on. Over half those polled said they were aware of the council’s well publicised complaints that their grit suppliers had not come through. What do you think? Did the council do enough to protect residents from icy and snowy roads last week? Have your say here. The snow is melting, at least on the main roads, and we better hope it goes away fast. At present, there is only 427 tonnes of grit left in the borough, and gritters are operating at a ‘light rate’. The council are still waiting on the 1,000 tonnes of grit needed – and ordered last month – to stop roads in the area from transforming into ice rinks. Looks like we better hope spring springs up soon! 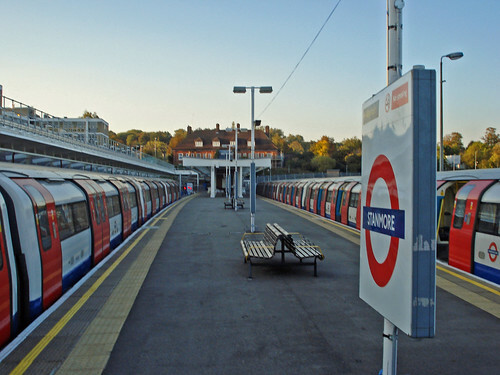 Especially because neighbouring boroughs have even less, so Harrow may even have to share its dwindling supplies. Meanwhile Harrow’s Labour councillors are none too happy about plans to cut the borough’s Winter Maintenance Budget for next year by £50,000. “This is a very short sighted cut by Harrow Council. What do you think? Should the council have made better preparations for the winter weather? Are they mad to cut spending on snow protection for next year, or is this just a freak season, so money could be better spent elsewhere? Air raids didn’t close schools, so why does ‘alpine’ weather? As Britain enters another what may well be yet another week of snowy weather, the question of whether schools should have been shut or not has proved a hot topic. Some 27 schools in Harrow were closed last week, although all should have reopened today. Meanwhile, with many pupils due to sit GCSE and A Level exams today and over the next week or so, some secondary schools were running on limited timetables. The debate has split people into two camps; on one side the health and safety brigade, on the other those who point out that if other professionals have to get to work, why shouldn’t teachers? Added to this is the problem for business when parents suddenly find themselves at a loss for childcare because the school has closed its doors for the day. Sir, I run a medium-size boys’ secondary school and have twice this week decided that it could not open because of the snow. In fact, Harrow on the Hill could easily have been mistaken for an Alpine ski village. On the one hand headteachers hear severe weather warnings saying that people should not venture from their homes. On the other hand we hear that school closures unfairly prevent parents from going to work. No decision to close a school is taken lightly. The safety of pupils is of paramount importance: their getting to and from school, as well as during their day with us. On Thursday my maintenance team and ground staff cleared the school site of snow with a tractor. It took several hours to make the school safely operational. We are fortunate enough to have a number of teachers who are within sensible walking distance, so in the event of further severe bad weather we could operate, just, for the January A-level examinations if necessary. All heads make their own wise judgment about closure based on their school’s circumstances — regardless of what the weathermen or politicians tell us. Sir, It was interesting to read the letter (Jan 9) from Katherine Haynes, head of The John Lyon School at Harrow, regarding her need to close the school twice last week because of the snow. How times have changed. I was a pupil at The John Lyon School from 1936 to 1942. Three of those years were war years and, although Harrow did not suffer severe bombing, there was considerable damage and very frequent air raid warnings. We had, too, some very severe winters. Despite the problems, the school closed on only one occasion during those years, and that was on the day that King George V died early in 1936 when at morning assembly the boys were told that, as a mark of respect, the school would be closed for the remainder of the day. If buses and trains were delayed by bad weather, boys walked miles to get to school. The highlight of wintry conditions was the long ice slide that would be developed across the playground, with a queue of boys waiting to take their turn to run at the slide and wear out their shoes. It seems that back in the day, Harrow was a lot more resilient. With yet more warnings of grit shortages in the area, the ‘close the schools’ brigade are surely not worrying for nothing. But have the council and the schools been exaggerating ‘apline weather’? If the snow comes down this week, will the schools be right to close? Should pupils just wap up warm and brave the elements? Is it fair on those taking exams to miss out on their classes? Councillor Susan Hall, the council’s deputy leader (conservative) said Harrow was waiting on an order of 1,000 tonnes to stop residents from slipping up or skidding on the roads. “We’ll do what we can but, if salt suppliers don’t honour their obligations, it doesn’t leave us much room for manoeuvre”.